Vampires don't really exist, of course, but... When Falcon plays hockey on the high school boys' team, the opposing fans chant, "Get the Girl! Get the Girl!" She doesn't know why it got to her so badly in her last game, but when two players went for her she took them out...and after tasting their blood, she took out the rest of their team too. Able to anticipate others' moves with ease, Falcon is a natural athlete, or is she something more? Soon strange things are happening and she is on the run with her best friend since first grade, Hedges. 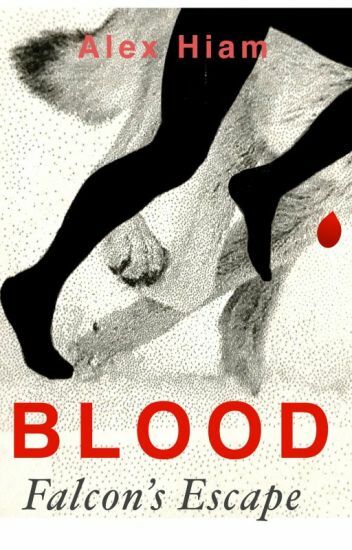 But why does the scent of blood make her canines elongate into retractible fangs, and who exactly are those teams of men who seem to be hunting her? I fell in love with this anime, and I had to have at least a book about THIS. PLEASE KNOW THAT I DO NOT OWN THE PHOTOS, AND THE CHARACTRS. Lida is getting married in Copenhagen. Sounds like a dream come true, right? Actually, not so much. Having six months before getting her heart broken, she agreed to her moms proposal of setting Lida up with her best friends son, Miller, with the goal of them getting married soon after. Not as romantic as it originally seemed, huh? Judes POV                        Did Connor Just kiss me and i kissed him i liked it!!!!! Why did he just kiss me is he Gay am I, I really dont know if he is or if i am. "i liked that" connor said with his face bright red. "you did I did to" i said. I lean in and kiss him again and before you know it we are making out we get up and get on my bed  and im on top he runs his fingers through my hair and his feet are fiddling with my feet, we go at it for 15 minutes before my mom calls my name from down stairs and we jump and go down stairs. It was Lena she said its time for dinner is connor eating over? Uh.. yeah he is. this is a bunch of truth or dares about ships. if you have any requests then comment. This is a one shot based off the Zariana ( Zac and Mariana ) kiss . I thought it would be a perfect idea to put Jude and Connor in their place , and make them have an adorable moment. I hope you enjoy this . The pre-teen hero of this adventurous fantasy story is a girl who has no idea she is being raised in our world to keep her safe from The Count and his devious plots. She finds herself quite unexpectedly falling into another world, in which she is reunited with her Mother from her earliest memories, and a younger brother she had no idea existed. It would be a fabulous homecoming...except the Palace is under attack, and for some reason everyone thinks SHE has come to straighten everything out. But Silvia soon discovers that her way with words is a form of power and that, by composing the right verses, she can actually work magic. Well you know.... Sockathan, a new character, you might cry your eyes out tho!